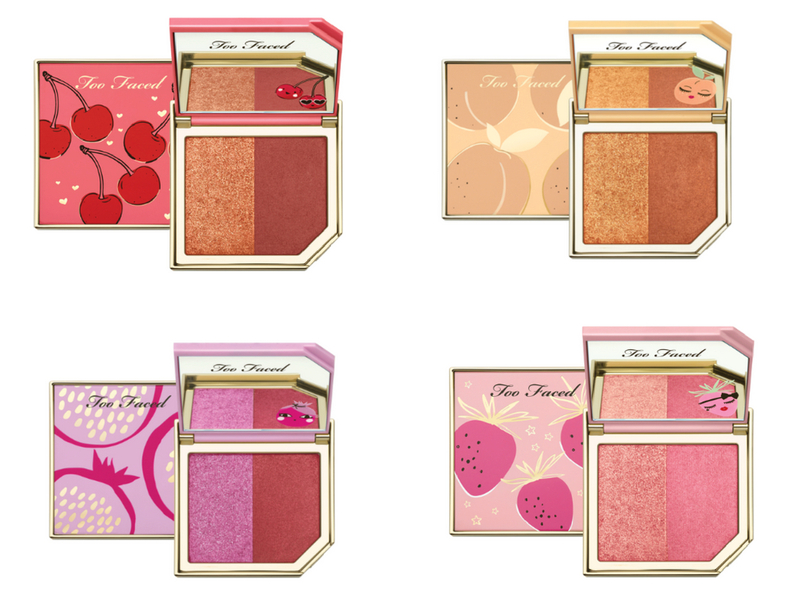 Today’s post is going to be about the NEW Too Faced Tutti Frutti Collection. Weirdly enough this is their Fall collection even if it looks like a Summer one in my opinion. I think the packaging is really cute, a bit too childish but really cute. This collection is quite big with: two eyeshadow palettes, twelve lip glosses, eight liquid eyeshadows, four blushes, a brightening powder, a bronzer/highlighter duo, a foundation, a setting spray, two liquid highlighters and two stick highlighters. 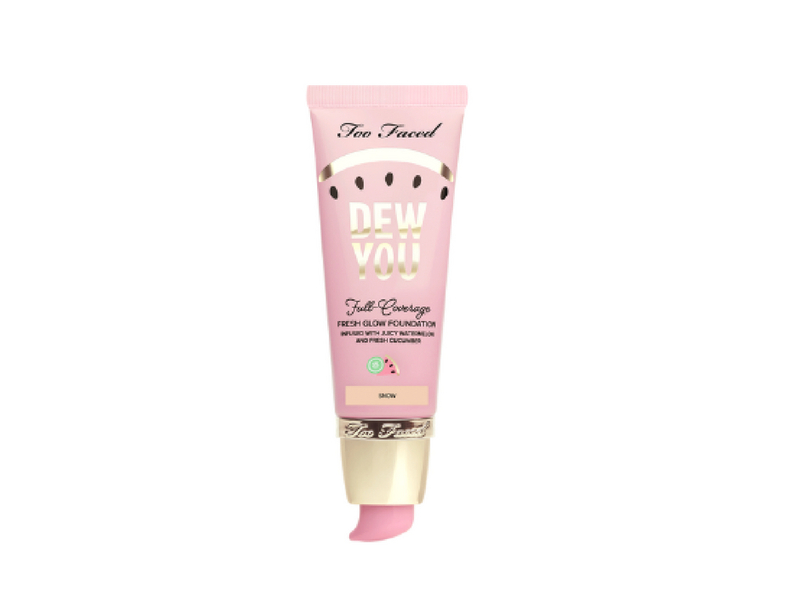 You can get it on toofaced.com and Ulta from the 15th of August. Mimi: These look so pretty and I’ve been in a palette craze lately but their eyeshadow quality tends to be too hit or misses for me. 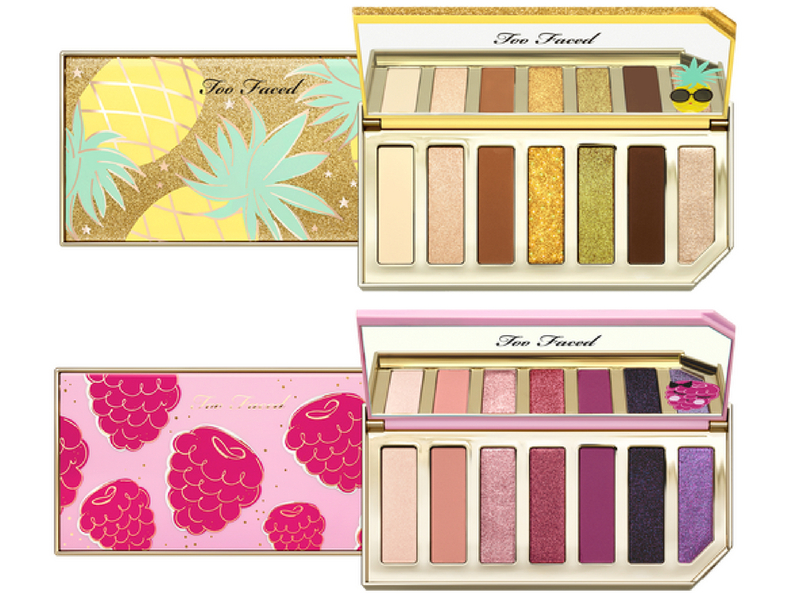 Julia: They are so pretty, they kind of look like the Urban Decay Basics palettes… Anyway, I like them both. Mimi: I can’t wait to see this in real life, some of the shades look so pretty, Guava Glits is STUNNING! Julia: They look really nice, I like liquid shadows because they create a great look on their own. Mimi: Some of the more neutral shades look really nice, will definitely take a look at them in the store. Julia: They aren’t anything special but the look nice. Mimi: I’m not a dewy foundation type of girl so this product is not for me but I like the packaging and I definitely appreciate the shade range. Julia: It looks interesting, their foundations look so nice. Mimi: Again, this product will probably make me too dewy and I like matt skin a lot better. Julia: It looks interesting, they tent to do a great job with these kind of products. 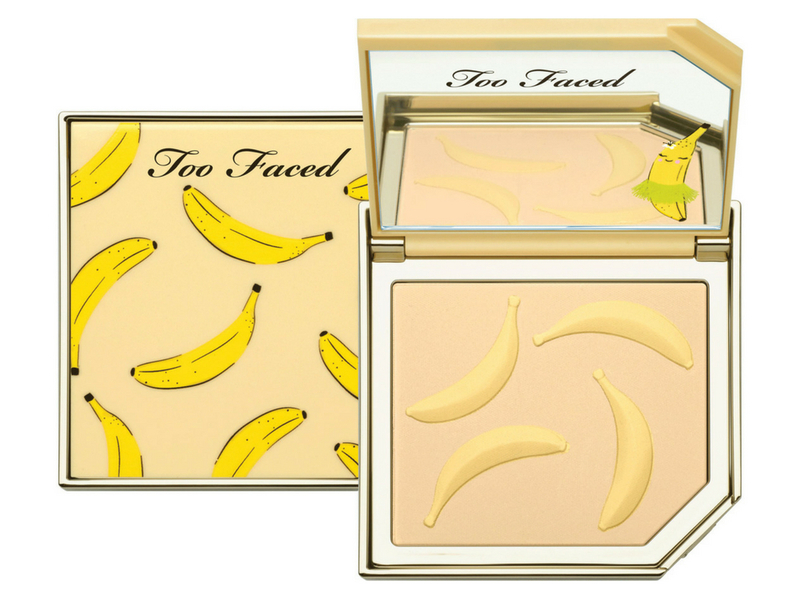 Mimi: I don’t use brightening powders enough to justify the purchase but the marketing of this is adorable! Julia: I don’t use powders because my make up tends to last so not for me. 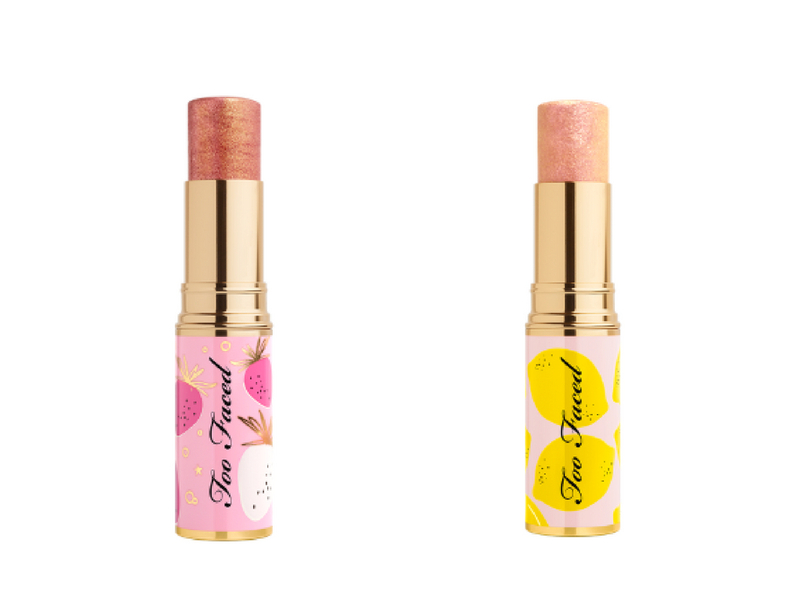 Mimi: Cute packaging but too shimmery in my opinion. Mimi: I don’t like them, I don’t like the shades and highlighting sticks in general. 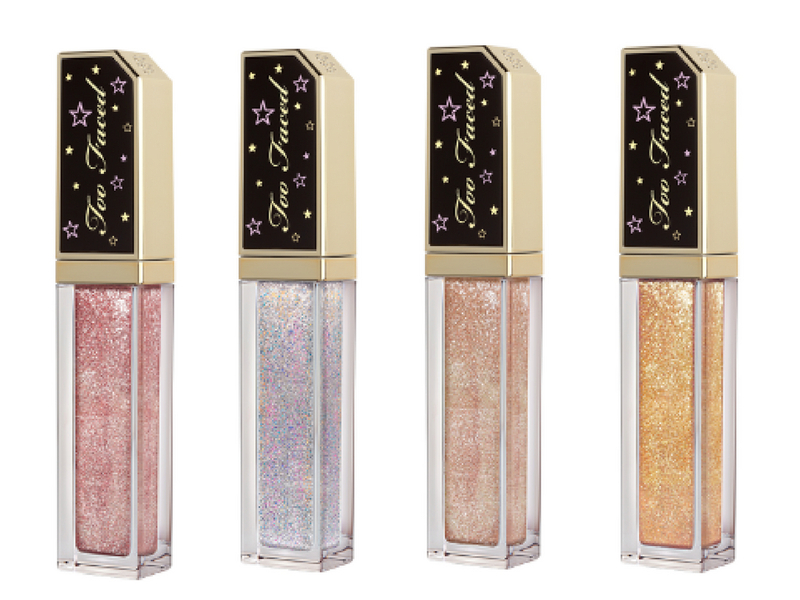 Mimi: They look incredibly shimmer and they will make my pores look gigantic but they are also super pretty, need to check them out in store. Julia: Not today satan, what the hell? Too shimmery for the face! Mimi: They look too much like kids make up, not a fan. Julia: We can talk about them, I want to see them. I love the colors in that eyeshadow palette and I appreciate you guys keeping it real with your reviews! I love the honesty of your reviews! A lot of this stuff is too sparkly for me, but I have a friend who is all about it, I’ll be sharing this post with her. Very fun packaging on everything! 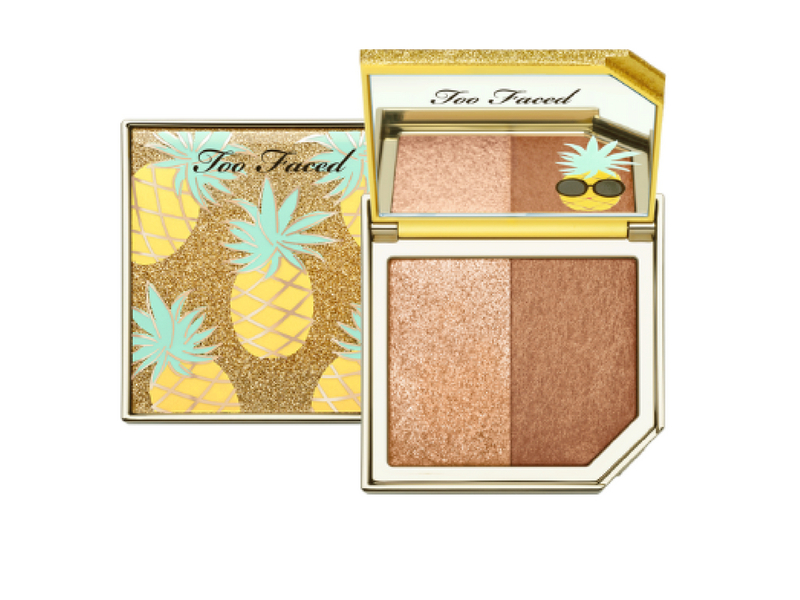 I can never get into too faced as a brand. I am not sure why. A lot of this just looks too much of a gimmick to me rather than makeup I would wear. Thanks for bringing your thoughts on these products for us. Omg those liquid eyeshadows look like a dream! Can’t wait to see them in store! That raspberry palette is beautiful! I’d love to wear that in fall. 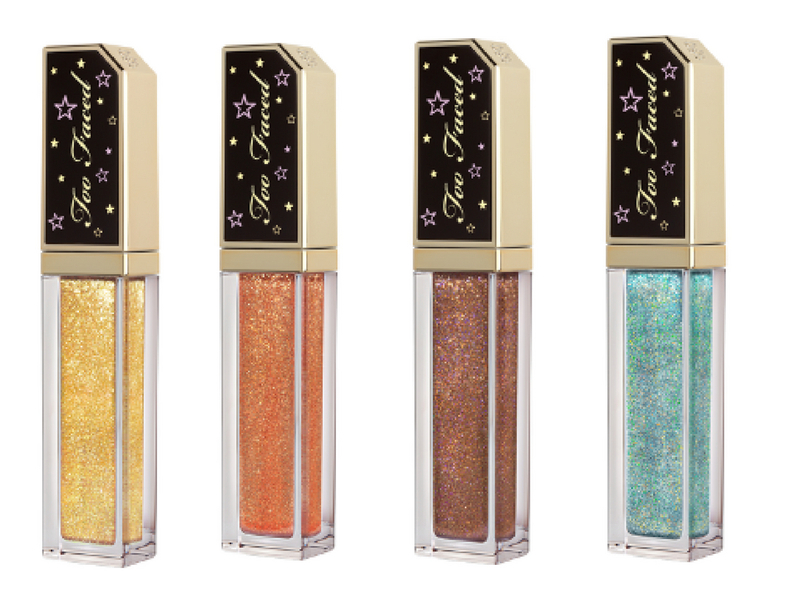 OMG those glitter eyeshadows looks absolutely stunning!! 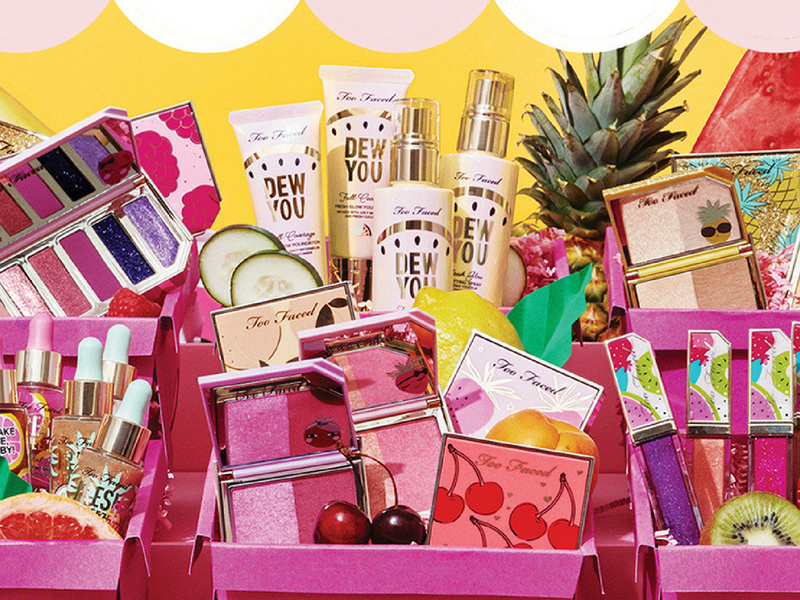 This packaging is so fun and cute!